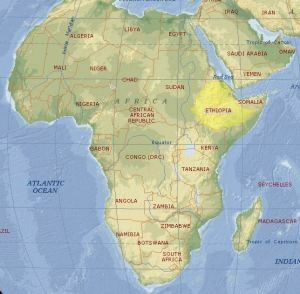 This is a map of Africa showing where Ethiopia is located. 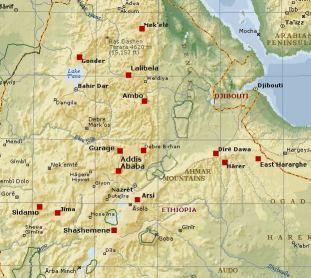 of the towns we visited highlighted. Click here or on the map to see it larger.